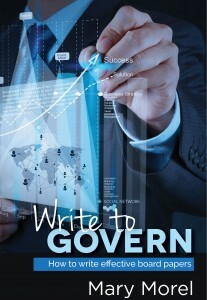 To register, visit the Governance Institute’s website. All templates need reviewing from time to time. Is it time to update yours? So many secretariat teams waste their precious time formatting papers and correcting grammar and style issues. Why not refresh your templates and guidelines and push the responsibility back on writers to use them better? Good templates encourage writers to place key points upfront, so directors instantly know what the paper is about and why they are reading it. Mary Morel. 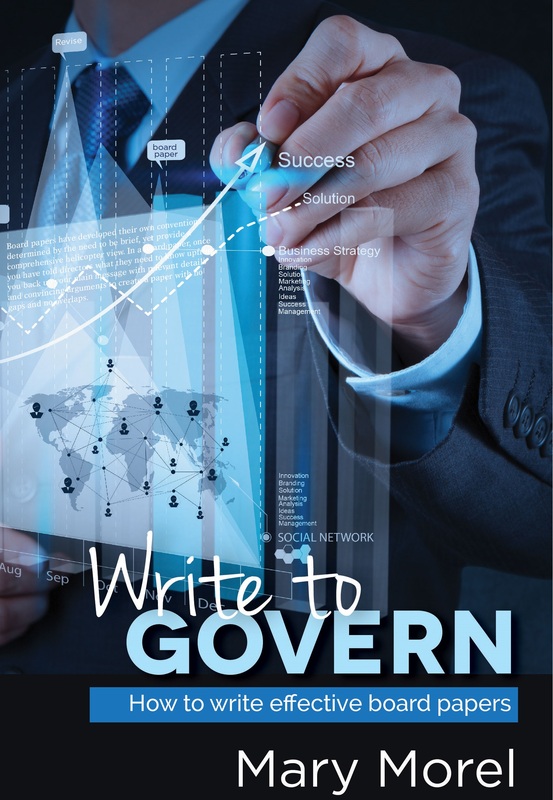 Mary is the author of Write to Govern: How to write effective board papers (2014) and has written three articles for Keeping good companies. She regularly presents at the Governance Institute. Mary works with wide variety of clients in the public and private sector. Her work includes assessing board packs from a writing perspective, training writers to write better board papers and presenting to executive teams on managing the writing process (e.g. setting clear briefs). Her recent clients include AMP, Essential Energy, St Vincent’s Health, Brisbane Airport Corporation and Sydney Water.